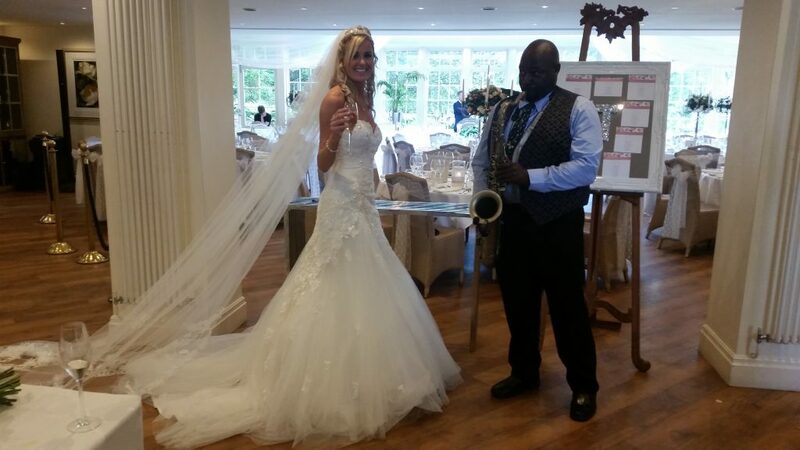 A pleasure to be working with Calvin, the smoothest saxophonist in the north West! From Bob Marley to Gerry Rafferty, his vast repertoire covers Pop, Ballads, Jazz, Reggae, Soul & easy-listening, always with an emphasis on well-known tunes played in his own unique style through a quality Bose PA system. Calvin doesn’t just stand in one place, his wireless PA allows him to mingle with guests, making him much more interactive than many saxophone players, able to serenade guests with his enchanting sounds! Perfect if you are looking for some cool live laid back music for your Wedding Day entertainment (wedding breakfast &/or drinks reception or even an early evening session). Also excellent for corporate entertainment, dinner dances, charity balls & just about any type of event where you require something a little more elegant than the venue’s in house PA to provide your soundtrack. His sound is warm smooth and at the same time unintrusive, creating the perfect ambiance for your special occasion. Calvin his based near Manchester but also covers pretty much the whole North West, from the Lakes, through Lancashire, Liverpool, Cheshire & beyond. Prices start from £295 for a 2 hour session. He can also cover further afield, please ask for a tailored quote. 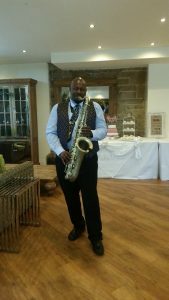 So, if you are looking for a smooth saxophonist for your special occasion in the North West, email your enquiry to andy@andybevents.co.uk For an accurate quote, please include the date, venue details & approx. timings.